From the Granary Burying Ground I walked to Quincy Market. This area was renewed for the Bicentennial in 1976. 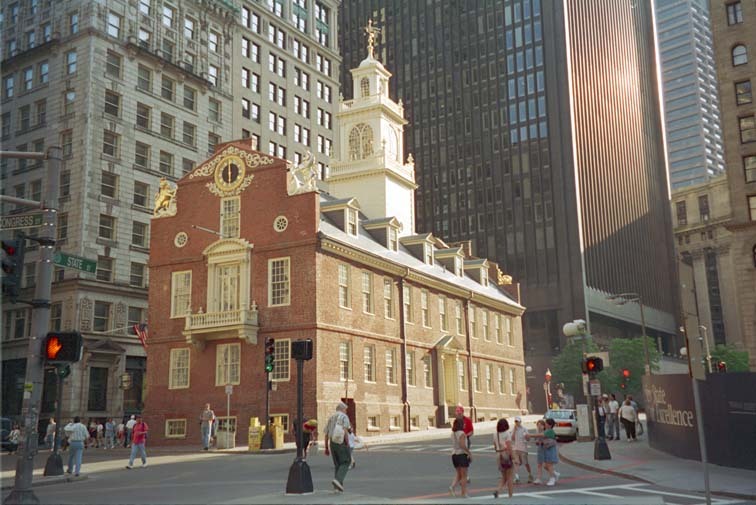 This is the Old State House. Just to the left in the center of the street is the site of the Boston Massacre. The Declaration Of Independence was read to the people of Boston from the balcony of the Old State House on July 18, 1776. Like the little house in the children's story, this building is now surrounded by skyscrapers. 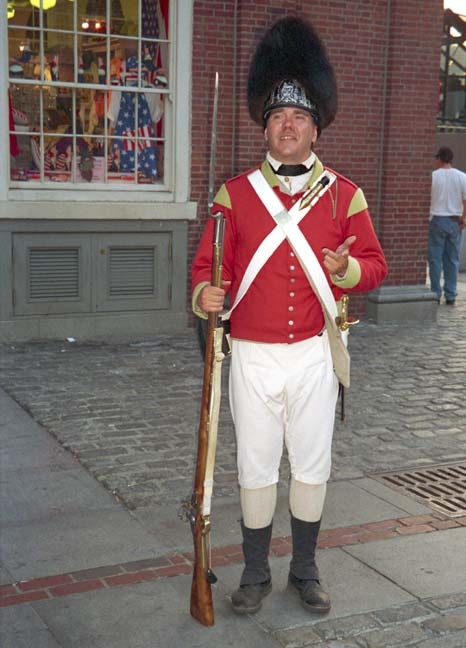 This actor played the part of a British redcoat, standing in front of Faneuil Hall.